Reaching for Glory lets us eavesdrop on LBJ's private, often tortured thoughts during the most crucial year of his presidency - when his dreams of being hailed as the equal of Abraham Lincoln and Franklin Roosevelt were destroyed by the war in Vietnam. These original recordings, presented side by side with the stories behind them, offer unprecedented insight into the Johnson presidency. Michael Beschloss' dramatic and inspiring saga explores crucial times when courageous president changed the history of the United States. 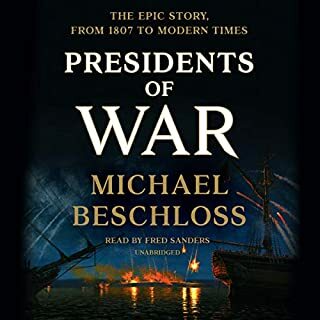 With surprising new sources and a dazzling command of history and human character, Beschloss brings these flawed, complex men and their wives, families, friends, and foes to life as if in a gripping novel. Never have we had a more intimate, behind-the-scenes view of Presidents coping with the supreme dilemmas of their lives. Taking Charge brings you into the room with an American political legend, still hated and revered a quarter century after his death. We hear Lyndon Johnson as he schemes and blusters, rewards and punishes, and reveals a bedrock core of unshakable political beliefs. The only president to record his private conversations from his first day in office, LBJ ordered these tapes locked in a vault until at least the year 2023. 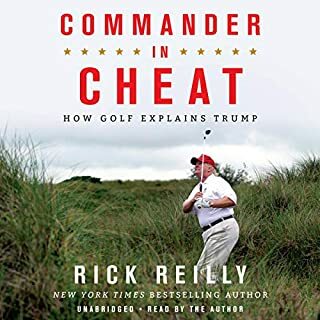 But now they have been unsealed, providing a close-up look at a president taking unprecedented power, from John F. Kennedy's murder in November 1963 to Johnson's campaign for a landslide victory. Taking Charge gives us an unprecedented look into a crucial presidency that continues to shape our lives today. In LBJ's own words, it is history "with the bark off". 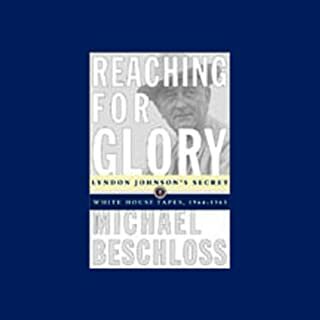 All the way with LBJ: explore our full list of titles about Lyndon Johnson and the Johnson administration, including Reaching for Glory: Lyndon Johnson's Secret White House Tapes, 1964-65. ©1997 Michael R. Beschloss (P)1997 Simon and Schuster Inc. All rights reserved. 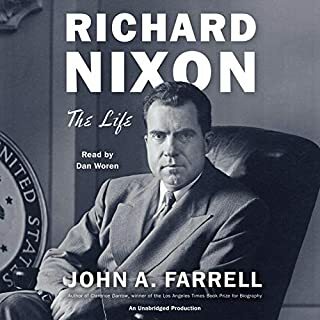 I agree with another reviewer who said this was one book that works better as an audio book than in print - for anyone interested in this period of American history, the American presidency and/or LBJ this is well worth listening to. The original tapes are fascinating and Beschloss' commentary is generally good. I highly recommend this audiobook. Listening to this book is such a wonderful and unique experience I can't imagine what it is like to read it in print. Much of the power of the material would be lost. Taking Charge is made for the audiobook format. It is a great use of primary source historical materials. Beschloss sets up each snippet of LBJ's conversation and then you get to hear LBJ himself. Fascinating and fun. Great listening. A part of history. 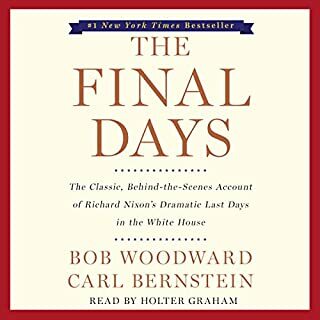 Interesting snap shot of an era plus the intimate background of a controversial president during a difficult time in US history. This is where Audible transcends regular books. There is a profound difference between reading history and actually hearing it from the mouths of those who uttered it when it was actually taking place. Hearing the tone of a person's voice alone can tell volumes about what's being said, and the atmosphere that accompanies it, and listening in on the conversations of Johnson in one of the most tumultuous periods in American history is spellbinding. I can't recommend this enough for history buffs. Interesting look at LBJ, both the man and president. Audio quality is sometimes difficult, but personal and professional perspectives are excellent. Look forward to successive volumes. Michael Beschloss is one of our great authors. Yes, the subject matter, the research, the superb writing - all excellent and hard to put down. Or in this case, turn off. LBJ of course, for his political skills in getting some of the most important legislation in the history of the USA passed by Congress. What does Michael R. Beschloss bring to the story that you wouldn’t experience if you just read the book? His passion for the research and subject matter is evident in his writing, but hearing his voice really adds to my enjoyment of the book. A key to history that unlocks a fascinating chapter into a man that couldn't be known as well any other way. Excellent context is given to fascinating excerpts from Johnson's tapes. Would you consider the audio edition of Taking Charge to be better than the print version? I would considering I haven't read the prin version at all. What was one of the most memorable moments of Taking Charge? Hearing the recordings and Michael's commentary. Which character – as performed by Michael R. Beschloss – was your favorite? He didn't preform them, but the narration was excellent. LBJ's rough relations with the Kennedies, Jackei in particular supprised me. I have learned that it is best to hear both sides a story. The external media does not help all of us to understand what is going on. This puts flesh on the bones of a long ago buried corpse. I was a 20 year old and now am 63. Looking back at the world through TAKING CHARGE helps to create a context for the world at that time. What other book might you compare Taking Charge to and why? Great tape. I've been a big fan of other Johnson bios, and this set of actual recordings builds a unique portrait of the man that the printed versions cannot. This is an amazing experience, listening to conversations, as they happened, between giants of history like LBJ, Martin Luther King, Eisenhower, Jacqueline & Bobby Kennedy. This contrasts with informally and chatty nature of what is said, most of the time. This is where an audiobook comes into its own and makes it compulsive in a way not possible in the usual book format. 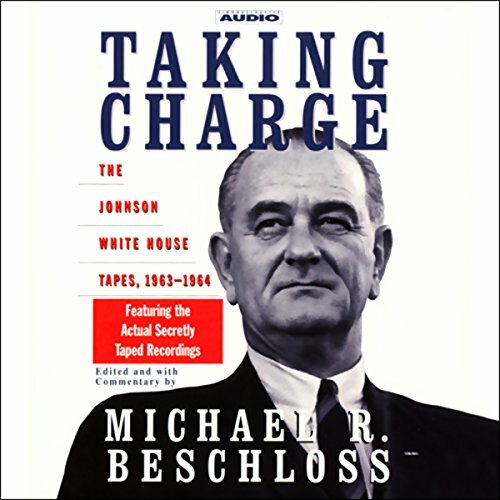 Nearly the entire book consists of actual recordings from LBJ's tapes. Beschloss does an excellent job though, as a narrator, linking the recordings together to make a coherent whole. What makes this book all the more riveting is the range of topics covered. LBJ throws himself into everything from the civil rights struggle to Vietnam and even advises his wife and daughters about getting getting their hair done and putting lipstick on before having a walk on the White House lawn. It was a revelation to me that LBJ appeared to seriously consider not standing for the presidency in 1964, due to the civil rights issue. It comes through strongly how good LBJ was at managing people. He shows a deft touch in his conversations with Bobby Kennedy, not as brash as he's made out to be by some. Altogether fascinating history as though it's happening now in all its freshness. The audio version is a must as you get an added insight into tone and emotion that you can't get with print. Only problem is it is rather hard to understand the beginning due to quality of the recordings themselves. This is an interesting compilation revealing some of LBJ's complexities, qualities, manners and thinking, but the post-assassination conversations, which most would be interested in, are seriously under-represented. No mention whatsoever of the taped-over 14 minute conversation with J Edgar Hoover the day following JFK's death (or its transcript) and nothing about the hatching and execution of the Warren Commission. 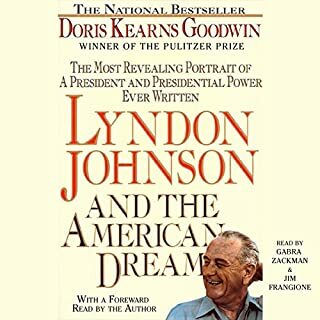 These omissions (or explanations wherefore) significantly limit the success and appeal of this audiobook, despite the clear transcriptions and fascinating exchanges between LBJ and RFK.